2018-10-30 09:43Maotai fell for the first time! Which listed companies will be found for the money squeezed out? 2018-10-25 18:15Never lose money in 17 years Hanwei Technology is the secret of the Red Army management | "Practice 101"
2018-10-22 11:25Zhang Weiming: A company with a competitive advantage is culturally heritage. 2018-10-22 11:23Chen Wei: The chip industry will become one of the elements to promote industrial transformation. 2018-10-22 11:14Guan Genrong: The improvement of corporate competitiveness depends largely on the strength of people. 2018-10-16 11:33Yang Jun: The second spring of smart retail can win the companion | "Practice 101"
2018-10-10 19:56The Huahai Pharmaceutical Industry continues to ferment. The black swan in the pharmaceutical industry is harmful. 2018-09-27 21:01How to keep the company's "Zhang Xiaoping"? 2018-09-26 16:44Are Chinese entrepreneurs lacking strategic thinking? 2018-09-17 21:18Why is Shenzhen competitive and winning private enterprises? 2018-09-17 09:51Can a new generation of iPhone support the trillion empire? 2018-09-12 10:49Can A-share private listed companies copy the cloud system with the "partner system"? 2018-09-10 10:03Guo Bin: How to deal with the lack of management system for enterprise reproducibility? 2018-09-04 09:44Why is Xiaomi not great yet? 2018-09-01 08:07Core Intellectual Property: Why is it a good company or even a national industrial backbone? 2018-08-23 15:53C3 industry chain achievements satellite petrochemical C2 industry chain can continue to move forward? 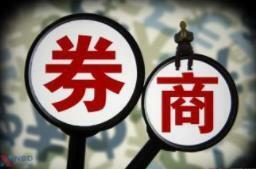 The fixed shares of more than 200 listed companies fell below the issue price, and some products lost more than 80%. Where is the private equity fund going? MSCI plans to increase A share to 20%. More than 500 billion foreign capital has been laid out in advance. 3587 points to enter the 2659 points to earn more than 50% What are the secrets of these counter-market bull stocks? Fund route: the net outflow of the main fund is 15.2 billion. Heavy! The most severe stopover system has come. Ten key points must be seen.